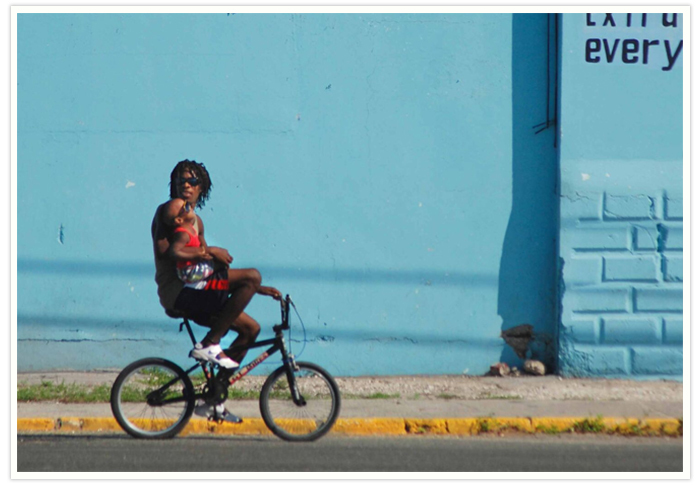 How do you get around Jamaica? Same as anyone! I buy her flowers, tell her how nice she looks and how much I love her. Isn’t that the best way to get around anyone or anything! It’s true! These are all viable modes of vehicular transport. It just depends on where you are going. You can add to the list: bamboo raft, homemade pushcart, sailboat, sailfish, parasail, foot, truck, moped, motorbike, bicycle, horse, mule, goat, helicopter, jet-ski, plane, minibus and taxi. In fact, I’ve taken all of those modes of transport in a single day just to get to one location in Jamaica! Seriously! Usain Bolt may be the fastest sprinter in the world, it doesn’t mean we all move like lightning! You’ll rarely see a Jamaican run. Unless we hear something is free! In which case we’ll box you down like former heavyweight champion Lennox Lewis! What has eight legs, four heads and two wheels? A Jamaican on a moped, taking his kids to school! That’s no joke. You’ll see some things on the Jamaican road you’d more expect to see in a circus. Wanna go to a beach on a desert island? Take a canoe! Visit Port Royal, ask a pirate… I mean a fisherman. He’ll take you to Lime Cay, where you can float in crystal clear blue waters, look back at Kingston and gloat at all the people working there. Wanna drive up, down and all around the island? Take a taxi, driven by a local who can guide you safely. Local taxi drivers know the local roads, where all the potholes hide. They know when to use the horn like a light saber, where to go or not as the case may be, and they can show you where to eat, drink, smoke or pray if you feel the need after you’ve been driven crazy… I mean driven around Jamaica. Negotiate a price and off you go. People often ask: “What’s a good price?” I always maintain: “A figure both parties are happy with.” Wanna thrill? 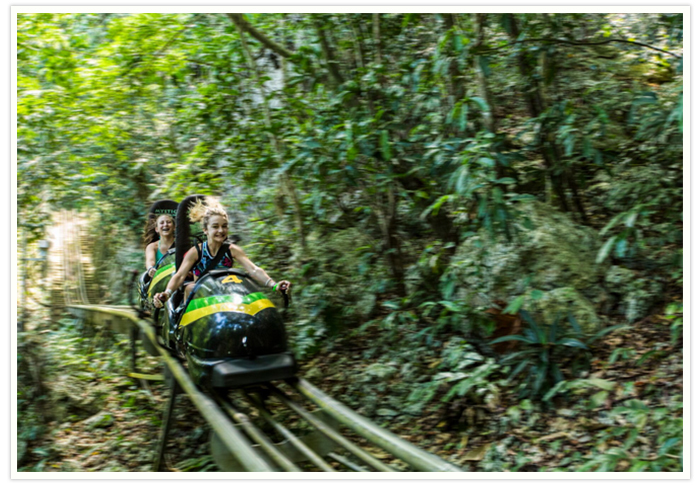 Take a bobsled! Mystic Mountain has them on rails. Wanna relax and let your troubles float away? 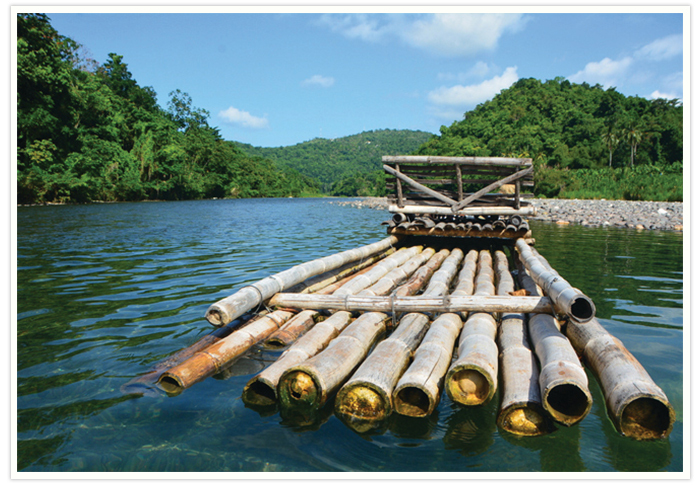 Go slow over rapids on a bamboo raft down the Rio Grande in Portland or Martha Brae in Trelawny. Wanna feel what it’s like to be a sardine? Get real, get down, get sweaty like Betty and squeeze into a minibus! That’s a really local way to get around. They’re cheap, hot, smelly and uncomfortable but if you wanna know how to live like some locals, that’s the way to go. 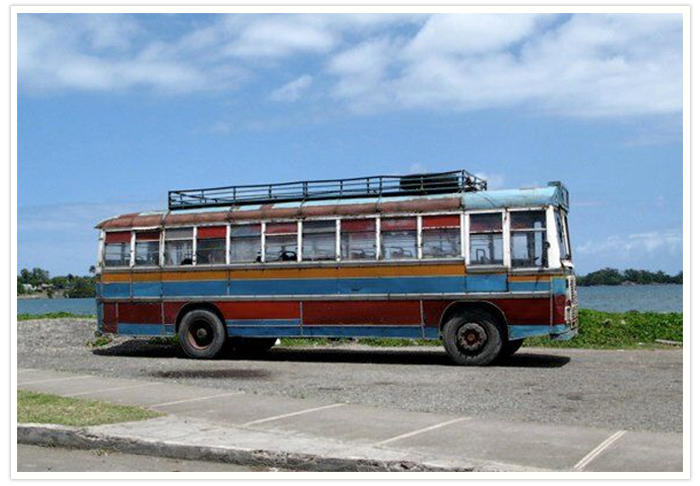 Alternatively, take the Knutsford Express and cross the island from Kingston to Montego Bay via Ocho Rios in air conditioned comfort. Wanna climb Blue Mountain Peak? Go by donkey or Shanks’ Pony (by foot). Take a 4x4 up the mountains to a step off point like Whitfield Hall, a great house in the hills. Stay the night, wake in the wee hours, then hike up to the peak for sunrise. If you’ve got money and don’t wanna break a sweat, take a helicopter. But don’t discount a donkey! You can borrow a burro to scale the heights, although I do suggest walking back down. Downhill donkeys are harder on your rear. Wanna drive? Rent a car! There are loads of places to get deals on the island. 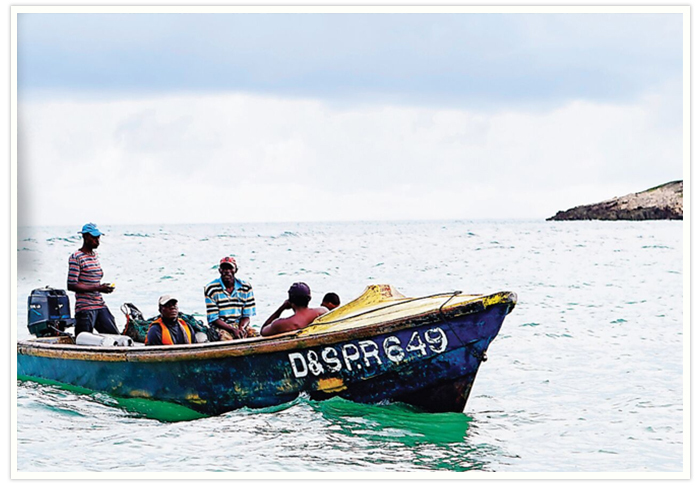 A word of warning, GPS and Satellite Navigation are pointless in Jamaica. Use a map or ask. Mind you, some Jamaicans still don’t use imperial measurements never mind metric. 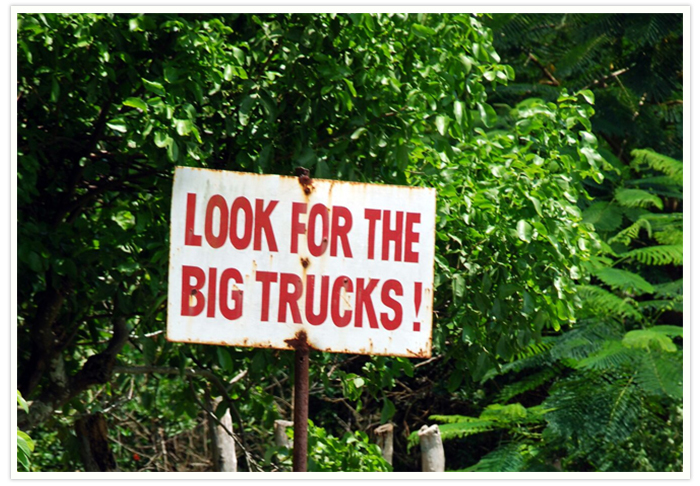 You’ll get directions like: “Go a couple of chains down the road, go so (hand signal), then go so (the other hand) at the rum bar (may be worth stopping there), then go straight (impossible in Jamaica) and when you see the sign, you reach.” Good luck! 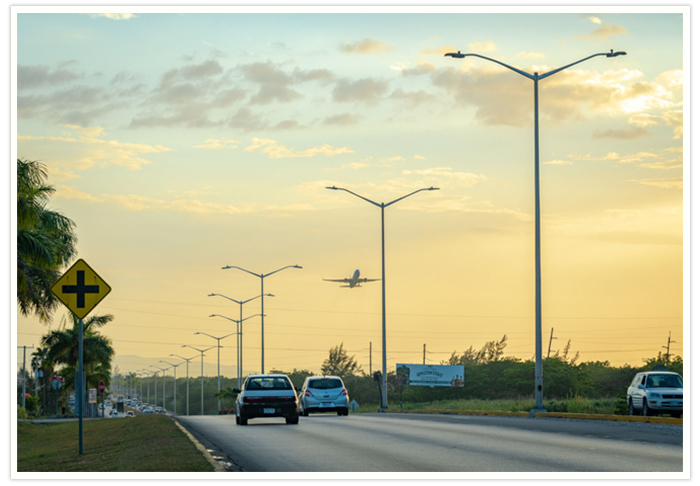 Wanna know which side of the road we drive on in Jamaica? Good question! Legally, the left, but lots of people drive in the middle to have options. In America you can turn right on red. 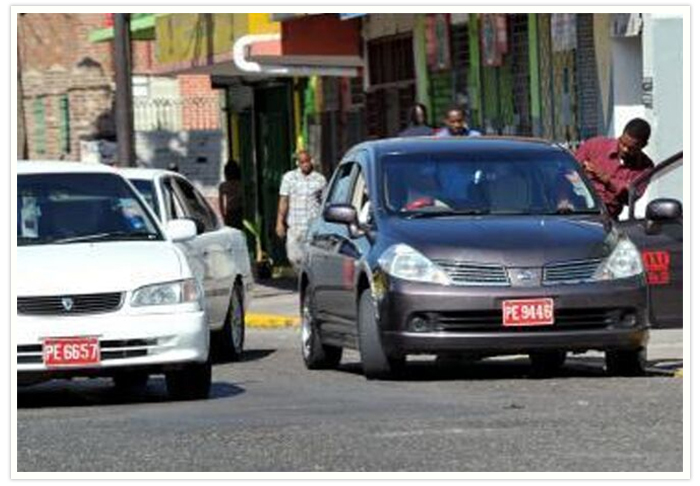 In Jamaica some drivers turn left on red and a few go straight through on red. This is not legal! After dark, proceed with caution! Back in the day we used to cross Jamaica by locomotive. Preachers prayed in all the carriages. Every denomination of Christianity took donations in every denomination of currency, foreign or local. Peanut men peddled protein. Ice cream men sold frozen goodies from a smoking box filled with dry ice: “Nutty Buddy, Ice Cream Cake!” Your journey was jammed full of joy. Wanna go off the beaten track? Take highways, byways, cars or a country bus. You can fly by twin engine or the seat of your pants. Walk, sail or swim around Jamaica.